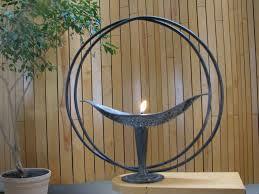 The Worship Associates work with the minister and other group members to plan and conduct Sunday morning services, lead the welcome, meditation, light candles, or recite a reading in the Service. Be a UUCE member, have comfort in speaking to large groups, want to work as part of a team, and will welcome coaching and direction from the minister. We ask for a one year commitment, and to serve as Sunday morning worship associate or anchor at least once or twice each quarter. Anchor — for coordinating and security, anchors hold the energy on Sunday mornings, making sure everything goes smoothly. Arrive 30 minutes early to the Sunday morning service. Neaten the lobby and Welcome Table. Be ready to smile, shake hands, and help newcomers to get a name tag and sign up visitors cards. After the service we wear an “Ask Me” Welcome ribbon and mingle with guests standing alone so they feel welcome and introduce them to others. Before the Service: Arrive at least 30 minutes early to set up the greeter’s table, logbook, alter-able materials, and set out the hymnals on the chairs. Stand at the sanctuary doors to greet people warmly as they enter, offer people the Sunday Morning Handout, help orient visitors, newcomers, and guide people who need extra assistance to find seats. During the service: Take a head count, and pass out and collect Offering baskets. Stay available in the entry for late comers, and keep an eye out for folks who need help during the service. You are often the one who saves the day! After the Service: Pick up programs, hearing devices, hymnals, tidy the sanctuary, replace materials in the kiosk. Stay at the greeter’s table for about 15 minutes to answer questions and get to know newcomers. Take the Offering money downstairs. Fill out the log book for the service. Coffee people are loved in our church!! You will be given full training and instructions. Come about 30 minutes early to make coffee and hot water for tea, set up cups, creamers and sweeteners, and stay 30 minutes after to clean up. Many newcomers become Coffee People as a way to get to know more of the congregation.